Larissa Behrendt is a writer, barrister and law professor, and celebrated Australian personality, passionate about the rights of Indigenous Australians and the development of Australian culture. 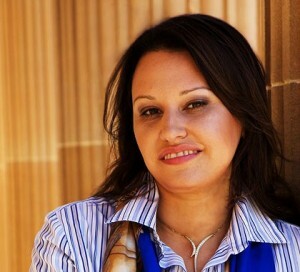 In 2009, she was the NAIDOC Indigenous Person of the Year and in 2011 voted NSW Australian of the Year. Talented across several genres, Behrendt’s bibliography includes many articles for various legal journals and two nonfiction books, Aboriginal Dispute Resolution and Achieving Social Justice. Her debut novel, Home, won the Queensland Premier’s Literary Award and the David Unaipon Award in 2002, as well as the Deadly’s Award for outstanding achievement in literature (2004) and the Commonwealth Writers Prize for Best First Novel in the South East Asian/South Pacific region (2005). 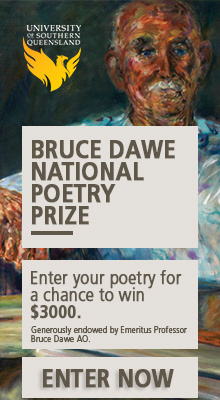 Her second novel, Legacy, won a Victorian Premier’s Literary Award in 2010. Here, Larissa makes time to share some thoughts about her writing process and heart-wrenching short story ‘Under Skin, in blood’, published in this edition of Overland. ‘Under Skin, in blood’ is deeply moving, how did you know it was time to write it? I had known about the experiences at Baryulgil for a long time. It’s a tragic story. Members of the community are still fighting for recognition of what happened there. It is hard to see that and not be touched by it. I then started to hear the voice of Nana Faye. She told the story. And I wrote it down. Inspiration comes from eclectic places. For this story, I was inspired by how much heart I see in the older women in the community who have had really hard lives but continue to give so much to those around them. Nana Faye was based on some of those women. And it’s hard not to be moved and inspired by seeing people fighting for justice for their families like the people of Baryulgil have done. You are clearly a talented writer of both fiction and nonfiction. What does fiction offer you, as a storyteller? I have found it a way of reaching a different audience. I like writing as a process; having to think about the human implications of something and exploring relationships between different characters. And I like the way the character’s voice develops. It gives you a chance to step into someone else’s shoes for a while. I’ve written two short stories so far this year and they are the first ones I have had published. It is a very different process and practice of storytelling than writing a novel; I have enjoyed the challenge of something new and a way of getting to new audiences. I am currently working on two nonfiction projects aimed at broader audiences as well as a legal text book. I hope to get back to writing my next novel later in the year. Writing of any kind continues to be something I am passionate about. Creative writing in particular is a great escape for me. Aboriginal culture has a strong storytelling tradition and I like being part of that tradition. This was heartening to read. Storytelling traditions do not necessarily change, but the vehicles on which they are conveyed do. The interface between storyteller and listener or reader is undergoing enormous changes. I feel they are for the better. Disintermediation could possibly disburden traditional cultures of the shackles of commercialism.